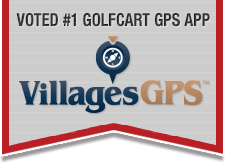 Talk of The Villages Florida / Recreation in The Villages / Golf in The Villages / Attention All Golfers!!! I can take 5 strokes off your golf score for free. All you need to do is send my your scorecard. Last edited by tomwed; 05-17-2015 at 08:41 PM. If you take two or three mulligans every hole it take at least 6 strokes off you score and you will shoot in the 80's and 90' every time. Some even shoot in the 70's.